Officers are becoming ‘increasingly concerned’ for a missing woman who may be in Eastbourne. Jeneve McKee, 63, was last seen on Friday (February 8) after visiting a friend in Sidcup, according to police. 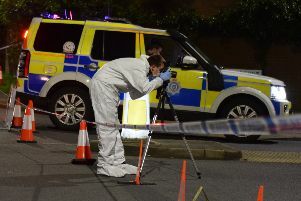 But police believe she may now be in Sussex, where she has connections in Eastbourne and Battle. From Swanley, Kent, Jeneve is described as being white, about 5ft tall, of slim build with shoulder length wavy fair hair and a pale complexion. She also wears glasses. Police say Jeneve is possibly wearing a dark coloured coat with a hood and is likely to be travelling via train or bus. She often uses a walking stick or a blue trolley, they said. Officers are urging anyone with information to call Kent Police on 101 quoting 21-1442.